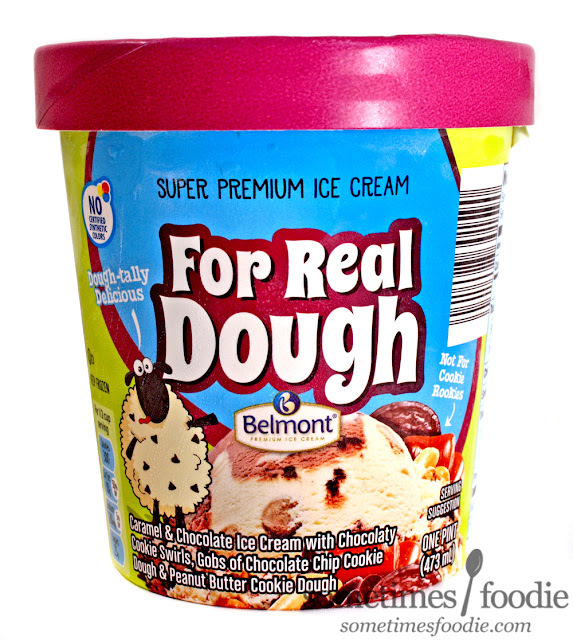 A while back, Aldi introduced a new premium ice cream line that looked suspiciously like Ben & Jerry's. 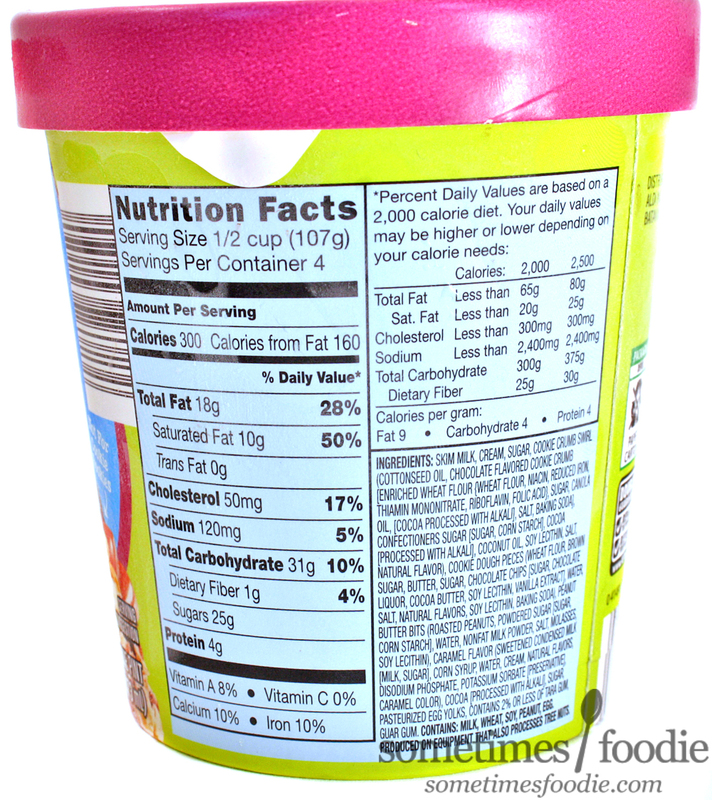 In fact, each Aldi flavor corresponded to a popular Ben & Jerry's flavor, making them nearly identical...except the Aldi-version is LESS THAN $2.00 USD per pint! That's right, you can buy two of these pints for the price of a Ben & Jerry's one, and the best part? Not only is it cheap, but it tastes nearly identical! (Spoiler alert!) They're all awesome! Seriously! The only one I didn't care for was My Peanut Butter Half, but that's because peanut butter ice cream just isn't my cup of tea. 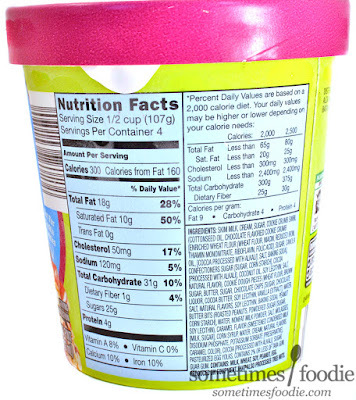 The original trio of flavors (Marked with an *) have become permanent Aldi items, available year-round, but every now and again they expand the line with seasonal releases which just so happen to be MORE Ben and Jerry's dupes! Last time we got two new flavors, Swirlin' Strawberry and My Peanut Butter Half, and this time we get three more! Currently on the shelves are: For Real Dough, Turtley Awesome, and Banana Bonanza. Which dupe Ben and Jerry's The Tonight Dough, Phish Food and Chunky Monkey respectively. Since all the other flavors were fantastic, I couldn't wait to try these three, so here we go! When it comes to looks, Ben & Jerry still has Aldi beat. The bright green and red-purple color scheme is really obnoxious, and the mascot looks like a piece of 90's clip-art. As ugly as the pint may be, I'm not mad at it. If the packaging being ugly is the price I have to pay for cheap delicious ice cream, so be it! So, what is "For Real Dough," anyway? The packaging says this is a caramel and chocolate ice cream with chocolatey cookie swirls, gobs of chocolate chip cookie dough, and peanut butter cookie dough. I'm on board with everything in that description...except the peanut butter cookie dough. I'm just not a huge peanut butter fan. It's not enough to turn me off from trying this flavor, but it does lead to me believe it won't de-throne the original trio as my Aldi favorites. 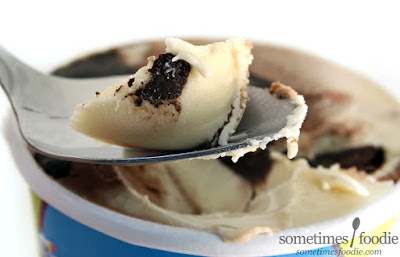 Once opened, we can see a HUGE swirl of, what looks like fudge, but it's actually a chocolate cookie spread similar to the cocoa version of Trader Joe's speculoos. Imagine Oreo cookies mashed up into a gritty, chocolatey cookie butter. That is what that giant swirl is, and it's wonderful. 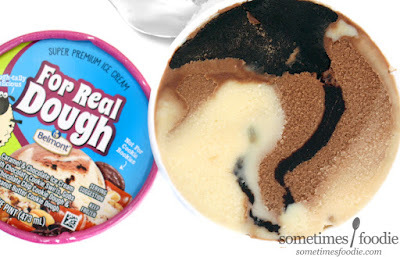 The ice cream flavors work really nicely with the chocolate cookie swirl, and every now and again you find a nugget of frozen cookie dough. Sadly, I got significantly more peanut butter cookie dough bits in my pint than normal cookie dough ones. After being burned a few times by a peanut butter nugget when I was trying to find a normal cookie dough one (which looks the same) I started actively avoiding that particular mix in. (I'm just not a huge peanut butter ice cream or cookie fan.) Thankfully, there was more than enough of the chocolate cookie swirl to make up for it. That swirl you saw on top goes all the way through the pint, and it's dense, fudgey, and delicious. I had nearly enough to have a bit of cookie swirl with every bite, and that's pretty amazing. Especially for less than $2.00!! At the time I am writing this, my family has already gone through two pints, but it's worth noting that all three of us weren't fans of the peanut butter cookie dough mix-ins, but that does not mean this is an imperfect pint. It just didn't suit our particular tastes as well as the others. Still, I highly recommend trying this for the cookie butter swirl alone. It's just so addicting! We'll try and grab another pint before it disappears, but I think Brookie Dough is more-so our speed.